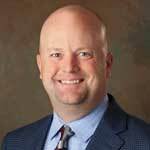 BRAD CAVITT – Area Manager responsible for managing the bidding and project execution for Kiewit‘s conventional tunneling work across North America. Conventional tunneling work includes all drill and blast operations, soft ground (SEM, NATM or roadheader) tunneling, shaft excavation and lining operations and various specialty types of underground work such as microtunneling. 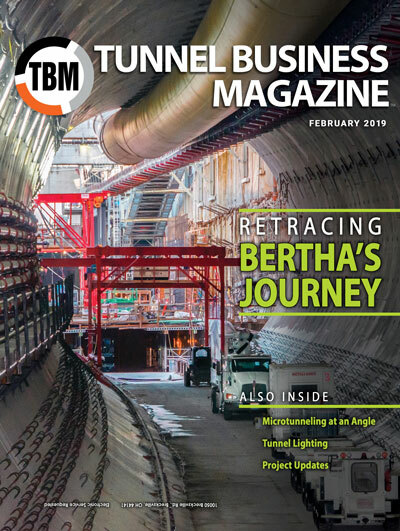 Each year, TBM: Tunnel Business Magazine takes a look at the coming year by polling a sampling of tunneling professionals. How is the year ahead shaping up? What are the emerging trends? The respondents represent a cross section of the industry including engineers, vendors and contractors. Most agree that demand is high for tunneling in North America yet certain hurdles exist that must be overcome. What is your outlook on the North American tunneling industry entering 2017? Bullish? Bearish? Why? Cavitt – Kiewit’s outlook on the market is very bullish. The need for infrastructure is apparent. Many major projects anticipated in previous years have been delayed for various reasons and with a positive economic outlook many of these projects will likely become reality in the near future. Clemens – I am optimistic for strong growth in 2017 and beyond for the underground construction industry. Opportunities exist with many planned projects and new ones seemingly on the horizon monthly. The “Make America Great Again” movement is reflected in consumer confidence being at its highest in over 15 years. The North American market has tunnel and related work planned from coast to coast and the new governments are proposing spending on critical infrastructure needs. In an industry that sees frequent “peaks and valleys,” comprehensive planned programs are critical for this success. 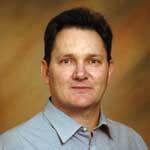 TOM CLEMENS – President of North American Tunneling for Dywidag-Systems International (DSI). Clemens began his career more than 40 years ago in a training program and inside sales position for Commercial Shearing’s Underground Supports Division. While the ownership and company has changed several times over the years, Clemens steadily rose through the company, becoming president in December 2006. Why only optimistic? While all signs point to a strong market with political backing, the realities of funding these projects always seems to be at the whim of where the politicians think that they will get “more bang for their bucks”! Davidson – I’m very optimistic about the tunneling industry going forward. Looking at the western side of the country, there are large infrastructure projects, involving tunneling, in virtually every major city. It’s a tremendously exciting time and a great time to be involved in the tunneling industry. Downing – I am most familiar with the Canadian market, for which I am bullish. 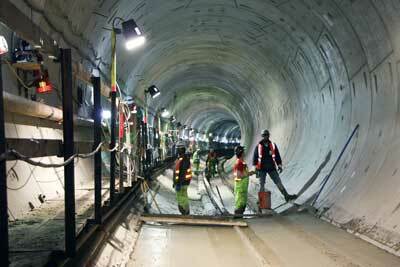 There has been a steady increase in tunneling work over the last 15 years in Canada, and that looks to continue. Fulcher – The North American tunneling market in 2017 (and beyond) looks very positive with numerous large and small jobs underway and ready for bid with more in the pipeline for many years. Both designers and contractors are heavily booked with substantial workloads and are looking for talented personnel. This same situation affects key subcontractors and suppliers too. Recent elections and voter support for infrastructure developments is also very encouraging for the tunneling industry. Significant funds have been designated in many locations for major capital projects that include new construction and the renewal of existing facilities. Frank – From my standpoint the tunneling industry is somewhat bullish in North America. The upside is due primarily to the passage of measures to raise approximately $200 billion for investment in public transit projects across the country. It would be hard to say that the industry is going to grow at a much faster rate than the last several years, or that it will be comparable to other booming international markets, but the outlook appears good. Zernich – I’d say we are in the middle of the road and it should be similar to 2016. I expect that we will still see quite a bit of competition on some smaller projects and competitive bidding in general — similar to the last couple of years. We expect several large environmental projects to bid this year with pre-qualification requirements already underway. 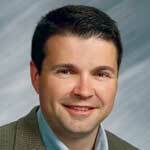 GREGG DAVIDSON – PE, Principal Engineer and Pacific Northwest Regional Manager for McMillen Jacobs Associates. Davidson has nearly 30 years of experience in project management, design and construction of tunnel and underground projects around the world. During the election, there was talk about increased support for infrastructure construction and repair. What impact do you foresee the 2016 election having on the tunneling market? Cavitt – Increased spending on critical infrastructure was discussed as much as any topic during the elections. If the new administration and Congress fulfill their promises, then the tunnel industry will see a corresponding increase. One could argue even a higher share of spending will find its way to tunnel projects as many of these projects offer unique solutions in all facets of the marketplace. Clemens – The 2016 election certainly reflected that the electorate does not want the same old governmental non-action that we have seen over the past decade and more. The needs for new infrastructure and repair of existing infrastructure seemed to be a major point that was made throughout the country. With nearly 70% of all bond issues voted on across the country being approved, the voters clearly demonstrated that they want services that provide quality of life with water, sewer and transportation projects a large part of this. The massive proposals passed specifically for transportation projects by voters in Los Angeles County, the San Francisco Bay area and Seattle (Sound Transit), among others, overwhelmingly approve taxes over long periods of time, clearly point to the public’s recognition that these programs are critical to their areas. 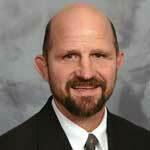 BRUCE DOWNING – Principal with Golder Associates. He has over 30 years of experience in the tunneling industry, having worked in North and South America, China and the U.K. He is a geotechnical engineer, with a particular interest in the management of geotechnical risk for tunneling projects. The new administration’s support and proposals to fund these many needed projects in all areas of the country will be the real determining factor in what impact we see in the tunneling industry. Davidson – I think we’ll see a positive impact – as we’ve seen after previous presidential elections. It was really encouraging to hear President-elect Trump mention “tunnels” in his acceptance speech on November 8. As is true for many such initiatives, the details will be an important element in whether it is successful in increasing funding of specific projects. Frank – Outside of the positive impact from the infusion of local money for local transit involving tunneling on the West Coast, I would say that outcome of the national election is probably neutral. I think that while that there is likely to be more investment in infrastructure overall, there will be a propensity for less of the available money to be spent on water supply and wastewater improvements, which are the bread-and-butter of the industry. Fulcher – As noted above the, recent election and local bond measures signaled strong support for additional spending on infrastructure projects. Many of these will involve tunneling and the underground construction industry as a whole; e.g. designers, contractors, equipment and material suppliers and key subcontractors. The support for additional construction spending includes not only major projects but also “brick and mortar” scale jobs that are the mainstay of the underground construction industry; such as additional CSO capacity in many cities. Zernich – We are hopeful that future infrastructure spending will be put toward underground projects that were in the pipeline or were delayed due to funding constraints. It is a positive sign that infrastructure spending was such a hot topic and viewed as a priority by both parties. Infrastructure spending is a driver of our economy on multiple levels and should continue to be a priority for advancing into the future. We are optimistic that voter-approved tax revenue in Los Angeles and Seattle will translate into more underground projects in next few years and that other infrastructure spending is approved by Congress. 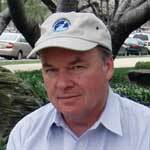 GLEN FRANK – Tunnel Resident Engineer, EPC Consultants Inc. He currently assigned to the Regional Connector Project in Los Angeles. He has over 20 years of experience serving technical and managerial roles on major tunnel projects working for construction management, design and construction firms. What is driving the market forward? Are there any new drivers? Cavitt – The market is being driven forward by need. Aging infrastructure needs to be repaired and replaced in many cases while new projects are opening areas for future development. 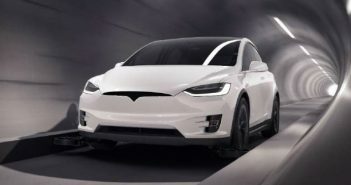 Many of today’s sophisticated tunneling technologies are also serving as drivers to the market. The technologies are opening doors to projects that in the past were too difficult and expensive to build. Clemens – Aging infrastructure and lack of maintenance of existing structures is clearly a major factor. When you have the problems like the DC Metro has had over the past several years, it can’t strike any closer to our government’s center yet it remains to be determined what action will be taken. Population growth and urbanization are factors in needing new water, CSO and transportation projects to be built — all are critical items in providing quality of life that all of us deserve. Environmental regulations (consent decrees) have played an important part in starting CSO work across the country that provide environmental improvements wherever they are required. The success of extremely difficult projects globally, as well as in North America, are factors that should make owners realize the opportunities that underground construction can provide to their communities. Davidson – People are tired of traffic congestion and want to see improvements and alternatives to sitting in their cars for a significant part of the day. It was remarkable that around 70% of voters approved Measure M in Los Angeles – that’s overwhelming and sent a clear message to what is needed. 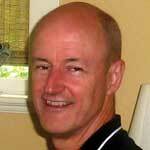 BRIAN FULCHER – PE, Independent Consultant. Fulcher has worked in the heavy construction contracting for almost 40 years building tunnels, metro stations, bridges and mine sites in the United States, Canada, Puerto Rico and Taiwan. 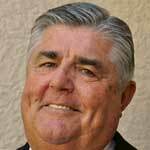 Fulcher recently retired from Kenny Construction as the Vice President of its Tunneling Division and is working as an independent consultant in Los Angeles. On the municipality side, urban growth and environmental compliance are driving the need to upgrade and/or replace existing infrastructure. Downing – In Canada, large transit projects are planned as part of federal stimulus spending as a means to reduce traffic congestion and help meet greenhouse gas emission reduction targets. Municipal infrastructure projects are linked to growing populations and other factors such as improved seismic resilience and reducing environmental impacts. Frank – On the grand scale the main driver is urbanization, and the need to provide the infrastructure (primarily water and transportation) to support the quality of life to more people living in less space. In the United States, this need is exacerbated by the aging of our infrastructure, much of which is coming to the end of its effective life. The need for clean water is a consistent driver and environmental regulations have resulted in many tunnel projects, primarily tunnels required to reduce the number and volume of CSO. This mechanism will continue. Water supply tunnels are also a consistent source of work as the need grows and existing systems continue to age. Many areas are experiencing drought conditions that are putting significant strains on water supply systems that were designed during wetter times. Examples include the recently completed Lake Mead Intake No. 3 project as well as the significant work associated with the aptly renamed California WaterFix. As urbanization is being accepted and even embraced, more mass transit is required and the people who want and need it are realizing that they will need to pay for it. Fulcher – There appears to be several current driving influences to the industry including public support and political sponsorship. Funding, public demand, technology, as well as state and federal requirements, aging essential infrastructure needing replacement and refurbishment and expanding loads on existing facilities are all contributing positively to the potential for more growth in the tunneling and underground construction industry, both in the United States and Canada. BRETT ZERNICH – PE, Project Manager, Traylor Brothers Inc. He has more than 15 years of experience on tunneling and underground construction projects including the Blue Plains Tunnel in Washington, D.C., the San Vincente Pipeline in San Diego, and the LA Metro Gold Line and North East Interceptor Sewer (NEIS) projects in Los Angeles. Zernich – Environmental protection projects are a large sector of the tunneling industry right now and appear to be for the near future. We should start to see an increase in transit projects kicking off as infrastructure spending materializes over the next several years. What is holding the market back? There is clearly a large demand for water, sewer and transportation infrastructure across the U.S. and Canada that remains unmet. Cavitt – It seems that the lack of commitment to spending on infrastructure due to conflicting priorities has been the greatest restraint on growth in the tunneling market. There are many projects with community support ready for construction just waiting for the funding. Clemens – Funding – whether federal, state, local or a combination – is the biggest reason that I see for holding the market back. Infrastructure banks and alternative funding methods have been talked about for years — without real efforts put forth with a plan to make these critical projects move forward. Personally, I believe that some of the delivery methods have also caused delays. Design-build projects that take 2, 3 or 4 years after a contractor is selected before substantial work begins on a project limits the amount of work that any of those involved can do. We seem to have reactive owners that follow what others are doing instead of being proactive and trying to find the best way to get work built to benefit their customers. We always seem to hear about the problem underground projects – Big Dig, Bertha and so on. A stigma of over-budget and long delayed completion is more the standard of what people think about underground construction. The general public seldom hears or understands the successful project built in extremely difficult conditions or understands the benefits to their community. Davidson – Cost. The large projects being considered across the country result in significant capital cost for the agencies concerned. We frequently see progressive increases in tunnel construction costs as the project evolves from conception through to completion/commissioning. This has made owners wary of undertaking tunnel projects. As an industry, we need to do better in working with owners to develop realistic, and reliable, costs so that the true cost of these projects can be understood at the budget phase. In addition, during the implementation phase, the contractor, owner, designer and construction manager must do a better job of proactively managing the construction risks to minimize additional costs. Downing – There are limits to public funding sources. The Canadian government is contemplating the development of an infrastructure bank (which would be funded, in part, by private sources) as a means to improve funding. Another common issue is the perception that underground projects (especially large ones) are always late and over budget, which has multiple negative effects. One is that the decision maker will not believe that the estimated cost is sufficient and will not select it even if it appears to be the best value. 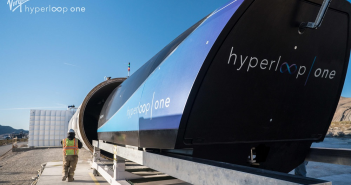 Another is that the cost estimate for the underground solution will be disproportionally higher than other options due to the cumulative cost of many very unlikely negative events happening on the same project. Additionally, the evaluation can be skewed against the underground solution by assuming an unrealistically late completion date. Fulcher – As the tunnel and underground construction market expands and embraces larger and significantly more challenging projects, major risks of performance and success still linger. Having very substantial financial and experienced personnel resources quickly come to mind as issues to address to assure project success. Contracts are becoming increasingly more burdensome in the procurement stage and again afterward in construction with complex technical and commercial requirements as conditions of the contract. More often than not, third-party interests weigh heavily in the design and performance of the work, hence the increasing difficulty in contract compliance and fulfillment. A full and comprehensive assessment and pricing of project risks (i.e. technical, commercial, operations and schedule, for example) is gaining attention as projects are more complex and include some non-traditional scopes. Finally, construction schedules are frequently far too optimistic and not sufficiently “beta tested” for reasonableness. Zernich – The economy has still been recovering and the election cycle may have caused politicians to be unwilling to push forward spending initiatives and projects. With voter support in some of the last regional elections and a continual recovering economy, projects in the pipeline may get a shot in the arm soon. What trends are you seeing in the North American marketplace? How are these trends affecting the market? Cavitt – One trend we see is the increased use of contract models that align owners, designers and contractors to common goals rather than traditional procurements where party’s interests may not always be aligned in best interest of the project. Many of these contract models have been successfully used in other areas of the infrastructure markets and are beginning to show their benefits on tunneling projects as well. Clemens – Global contractors are continuing their march into the North American market. They see some extremely nice looking projects in developed countries as opposed to some of the work in available in other parts of the world. For the most part they are bringing in methods that they have had success with elsewhere, although often not the way that we commonly see it done in North America. With more and more mega-projects, more alternative funding and contracting methods are becoming more common — P3s and design-build-operate-maintain to name a couple. Design-bid-build is often the last thing that an owner wants to consider. All of these larger projects, as well as the various methods of contracting for them, have forced some North American contractors to be more proactive in how they approach work. It has also eliminated some underground contractors from certain segments of the market. Davidson – Not sure if they are really trends, but we’re seeing two different kind of owners, and the contracting approach is frequently determined by the type of owner. There’s the agency that has built several tunnel projects over the last 10 years or more, has a large “lessons learned file” and is looking for alternatives and innovations – from contract delivery mechanisms, e.g. design-build, possibly P3, to tunnel configurations e.g. single versus twin bore tunnel. These folks are well connected into the tunnel industry and have clear expectations on what can be achieved. Conversely, there’s owners who are undertaking their first tunnel project and need to have experienced advisors early in the project development stage to help guide them through this crucial development and project-defining stage. Downing – There is an increasing amount of design-build, public-private partnerships and similar delivery models. The use of these delivery models will require adaptations from industry, in particular with regard to how risk is managed. Frank – One trend that appears to be current is the rise of local funding for necessary infrastructure. Highlighted by the latest election, especially in Seattle and Los Angeles, the money for the required work is being raised from within. Local agencies that have been created to deliver the infrastructure are also tasked with “selling” it to the community that it will serve. Design-build appears to be here to stay, although challenges will continue to develop in regards to understanding who is responsible for what and making sure all of the scope is covered. This is particularly true for urban projects that require a significant amount of work associated with addressing third-party needs and concerns. On the technology front, the use of pressure balance tunneling (in ever increasing diameters) in combination with multiple types of ground treatment is increasingly allowing for successful projects in even the most challenging ground. In my view, this is due to an increased understanding in the industry regarding the reliability of systems made up of an integration of multiple technical principles. This is allowing for an increased confidence that needed near surface underground can be built in the urban environment without massive disruption. Fulcher – Owners are expecting more from designers and contractors – in procurement and construction phases. The full spectrum of project risks (owner’s, designer’s and contractor’s) are getting more attention and, therefore, visibility and evaluation from cost and schedule analyses. Essential training of management, supervisory and technical staff needs to increase especially as projects become more complex, risky, costlier, and with longer duration. Experienced craft manpower shortages may appear on major projects and needs to be planned into the overall project approach. 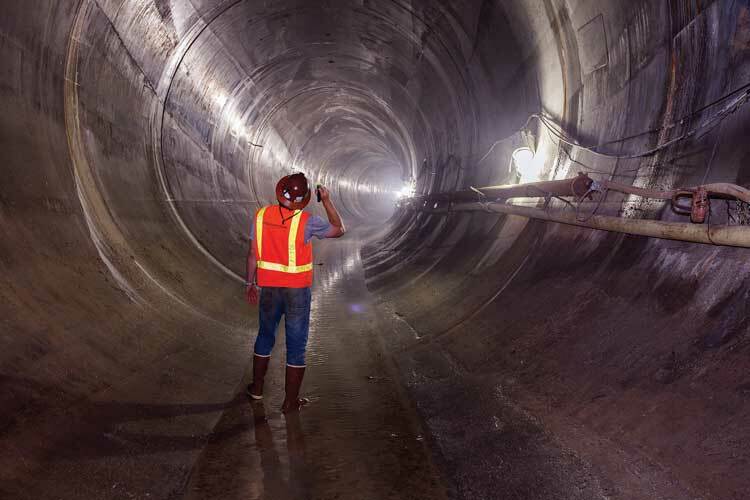 Many owners have embarked on multi-year capital programs for CSO, water and transportation tunnels. These programs and the size of individual jobs, including design-build contracts, will attract additional bidders. Zernich – The increased size and shift toward mega-projects, design-build, P3, and best-value procurement appears to be steadily increasing into the future. And we are certainly seeing a lot of sewer tunnels associated with environmental protection, especially across the Midwest. These projects are large and range in complexity that is certainly filling company’s workloads and resources. This may affect competition on future projects if more continue to follow, especially at a rapid pace. What is your assessment of the market outside of North America? How might global conditions affect the market here? What opportunities exist for North American companies overseas? Cavitt – There is significant growth and activity in many markets outside of North America. We are always looking for stable, secure, well financed projects where our skills may provide benefit. There are likely opportunities on private projects for other North American companies working abroad plus many of the larger programs happening in various locations across the globe. Clemens – All indications that I read and hear from colleagues is that the tunneling market in the rest of the world is very, very strong. The number of projects in China, India, Australia, Southeast Asia, the Mid-East and elsewhere certainly makes you wonder how they finance the work — and find qualified people to administer and build it! As we become a much smaller world, the effect of globalization (both good and bad) can certainly affect the underground market in North America. The strength of the dollar is a small but relevant factor in this equation. It may benefit one segment of the North American underground community and it can have the exact opposite effect on another segment. It is entirely possible over the next decade that the underground construction community in the world is much more of a global business. Davidson – Apart from Australia, New Zealand and Canada, we don’t undertake a lot of work outside of the US. In those markets, particularly in Australia, there’s a significant amount of work. In 2016, we saw more work in Sydney and Melbourne than ever before. Frank – The tunneling market in northern Europe certainly seems to be strong, as does the market in Asia and the Australian market as well. The booming market in the Middle East seems to have slowed from and several colleagues who were working there have returned, and it seems that the Chinese market is booming. This leaves other areas where there does not seem to be as much work, but overall the tunneling market appears strong from my perspective. Right now I believe that the market in North America is pretty healthy – maybe it is the new normal. There are quite a few international firms competing here both on the design/construction management side as well as on the contracting side, but that has been the case for quite a while now. I haven’t seen any changes regarding opportunities overseas. Large design and CM firms have been working in most of the markets for many years, and very few contracting firms have made the leap. Fulcher – Each market outside of North America has its own dynamics, funding and politics that rarely impact similar markets in the United States. While there are many products and equipment routinely manufactured outside of North America for tunnel and underground construction, these represent small costs relative to the size and nature of the contracts. In fact, there has been strong interest to relocate manufacture of some foreign products to the United States that have traditionally been made overseas. The U.S. market should remain very attractive to many foreign contractors, however, as their domestic markets struggle and they can export technology and expertise to the growing U.S. market. Presently the U.S. dollar is very strong against many other currencies which adversely impacts the ability of U.S.-based companies to prosper internationally. Conversely, foreign products and services in our industry would less expensive (if based on foreign currency). Zernich – I think there is still some nervousness, causing reduced infrastructure spending internationally, and we have seen international competition focusing on the North American market more and more. This obviously increases competition where foreign companies are bidding. As far as opportunities outside North America, there are certainly needs for specialty contractors and underground contractors in mining and tunneling, such as South America and Asia. Clemens – Opportunities in the underground market in North America may be unprecedented. The number of planned projects and the estimated value of them is staggering. We have the momentum of the people — both in the United States and in Canada – to implement programs to rebuild and build new infrastructure if the government, owners, designers and contractors can come up with plans to fund and build them. We need to spend the time, energy and money to educate the government officials and owners of the benefits of building underground work and to get new people involved in the industry to grow and sustain it over the years. Davidson – It’s an exciting and challenging time to be in the tunnel industry in the United States. Exciting because there are tunnel projects on the horizon in nearly every market we serve. Challenging because the talent pool of experienced tunnel professionals is shrinking with age, and we as an industry are not doing a good enough job of training the next generation. There has been some work done by organizations like UCA, but not enough. If the industry is going to continue to successfully deliver on all of the projects planned for the next 20 years or so, we need to do more to develop the next generation. Downing – Innovations in the tunneling industry have opened up future opportunities to service sectors beyond the infrastructure sector. Oil and gas (pipelines), mining and the power sectors may all see increasing use of tunneling expertise as projects complexity increases. Frank – Overall the outlook is bright, there are challenges to overcome, but thankfully there is more momentum now to overcome the occasional stumble. The industry has a large body of knowledgeable individuals and organizations, and seems to be attracting the necessary talent. Continued work in improving technology and integrating technical advances in other industries will help to improve performance, which will lead to more opportunity. Fulcher – Projects and contracts are getting more and more complex and, therefore, risky. The tunneling and underground design and construction industry needs to address and respond to this trend with more training and education for management, staff and craft. This includes for example, robust constructability and schedule analyses prior to the bid in addition to comprehensive risk assessments, contractor and Construction Manager qualifications, as well as commitments to partnering and collaboration during construction. Zernich – The need for more young craft and professionals to join the industry is still an on-going battle. If increased spending causes more projects to become reality — as we hope — there will be a major shortfall as a large retiring work force exits. I know this is the same concern folks have had for years, but we really need to actively recruit more talent for our industry as a priority. This can be done by engaging more universities and high schools in communities that we work in. The opportunity to highlight our industry can be most impactful if young people can see it in action right in their hometown.